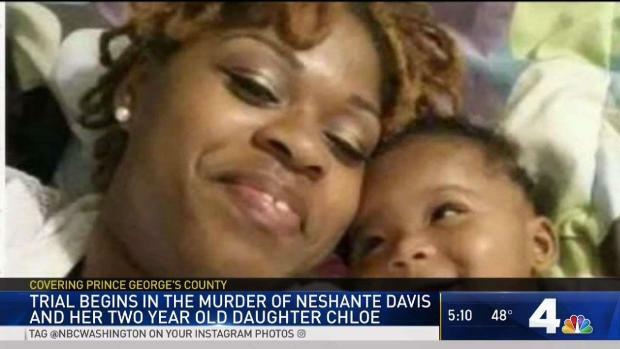 The family of NeShante Davis and Chloe Davis-Green spoke outside Prince George's County court on Thursday, after the mother and child's killer was sentenced to life in prison. 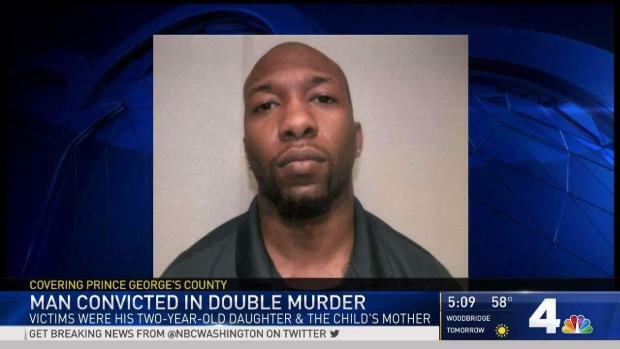 A Maryland man who killed his 2-year-old daughter and the child's mother after he was ordered to pay $600 in monthly child support was sentenced Thursday to spend the rest of his life in prison. Daron Boswell-Johnson was sentenced to two life sentences without the possibility of parole, plus an additional 40 years, for killing NeShante Davis and Chloe Davis-Green in 2016. Davis was 26. Her daughter never got to celebrate her third birthday. 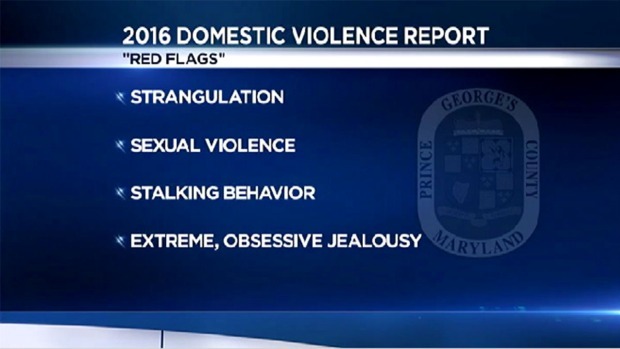 "The conduct that we sentenced today really did represent sheer evil," Prince George County State's Attorney Angela Alsobrooks said outside the courthouse, with the Davis family standing behind her. 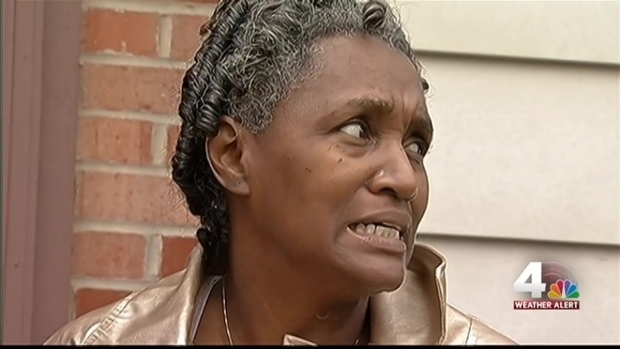 Davis was strapping her daughter into her car seat on a cold February morning when she was shot in the back. 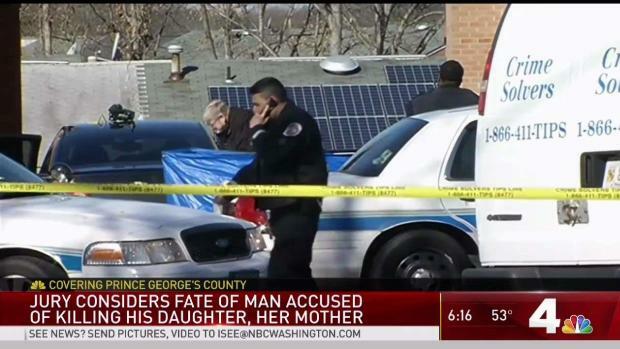 Then, the gunman shot the little girl twice in the head. 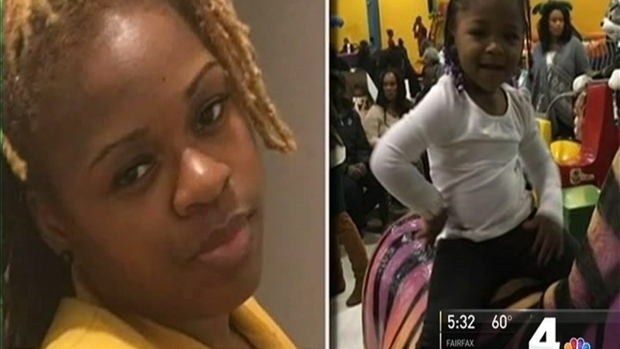 The family of Chloe Davis-Green and NeShante Davis said they felt relief upon the conviction of Daron Boswell-Johnson, the man who killed the 2-year-old girl and her mother. News4's Tracee Wilkins reports. The shooter was the toddler's father, a jury determined on April 3. Boswell-Johnson was convicted on all counts in the Feb. 2, 2016 murder of Davis and Davis-Green in Fort Washington, Maryland. After a seven-day trial, the jury deliberated for about two hours and found him guilty of first-degree murder and weapons charges. Boswell-Johnson confessed to the crime, hours of police interrogation video showed. Then 25, he said he waited outside Davis’ home, confronted her over the $600 monthly child support he recently had been ordered to pay and shot her and the toddler. Davis' family said the verdict brought them some peace. "It was as if a weight was lifted off of us," Davis' sister NeShanna Turner said at a news conference. "To find out it was over just $600 is heartbreaking," she continued. 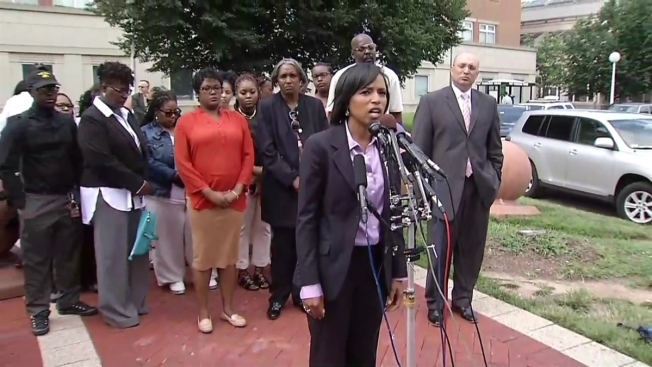 She thanked prosecutors, police and the jury for delivering justice. The family of NeShante Davis and Chloe Davis-Green spoke Wednesday morning about the conviction of the man who killed them: Chloe's father. "Killing a child is an act of war," state's attorney Alsobrooks said. The sentencing on Thursday brings the Davis family some comfort, Davis' sister NeShanna Turner said outside the courthouse. But nothing will bring back her sister or niece. "It's not closure to us. This will never close. It will never end. This is something that we will continue to feel for the rest of our lives," she said. "But we will also forever hold their memories close and dear, which will help us get through this."